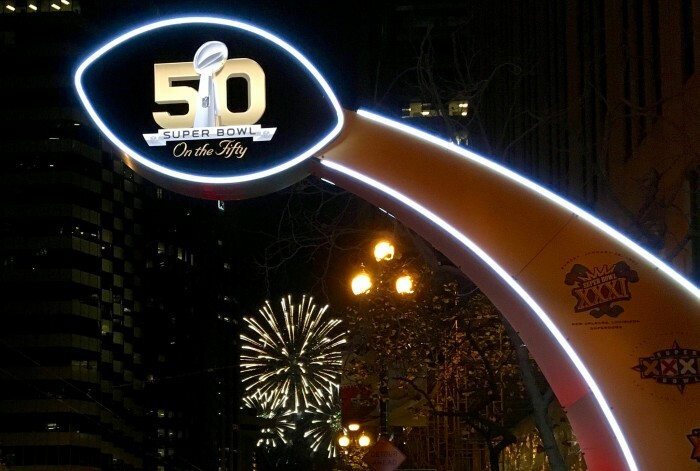 Santa Clara — and, by extension, San Francisco — will remain the center of the universe for a few more days before Super Bowl 50 recedes into memory. Kickoff is Sunday at 3:30 p.m. at Levi’s Stadium, but it’s not too soon to marvel at the spotlight the Super Bowl has cast on the Bay Area. The nation, it seems, is captivated by our lives and our lifestyles, and especially by our real estate. Countless travelogues have focused on the Wine Country, boosting the image of the Napa and Sonoma valleys and their world-class wineries, restaurants, and resorts. And San Francisco attractions are getting so many free write-ups it’s almost embarrassing. But it’s our homes, and our home prices, that really grab the attention of outsiders. As if they’ve never seen a condo selling for $1.685 million before. The nation is learning that Bay Area real estate is a rough-and-tumble sport every bit as exciting as pro football. First-time homebuyers here are as nervous as rookies suiting up for their first game, and the winner of a real estate bidding war anywhere in our nine-county region could justifiably lay claim to the Vince Lombardi Trophy. Sure it’s tough, but it’s a sweet victory amid some of the most attractive towns and cities this side of paradise. Visitors coming here for the Super Bowl have had a chance to experience some of that drama when they tried to book a room or, God forbid, a house during their stay. With hotels filling up months in advance, Bay Area residents came to the rescue by gamely offering their own homes to out-of-owners at a slight markup in price. Most famous, perhaps, was the Santa Clara homeowner who offered, via Airbnb, to pack up and move her family to Lake Tahoe for a few days for the princely sum of $2,975 per night. Per night. A much more affordable option was also posted on the Airbnb website by a couple in Burlingame whose backyard treehouse was available for $495 per night. When we checked a few days ago, it had already been snapped up. Of course, hype doesn’t always ensure reward. As the date of the Super Bowl draws near, our real estate professionals here at Pacific Union have heard of quite a few rentals that didn’t get the prices their owners had been counting on. One news report told of a Santa Clara condo owner who was forced to drop his rental price from $3,000 per day to just $1,100. Stories such as these will become part of the lore of Bay Area real estate. Yet, for all the shock and awe that some stories generate, far more will end in quiet satisfaction: families settling into comfortable homes in attractive communities. We extend a warm welcome to visitors this Super Bowl weekend, and we hope you will take another look at the Bay Area’s one-of-a-kind mix of cities, towns, and neighborhoods when the game is over.